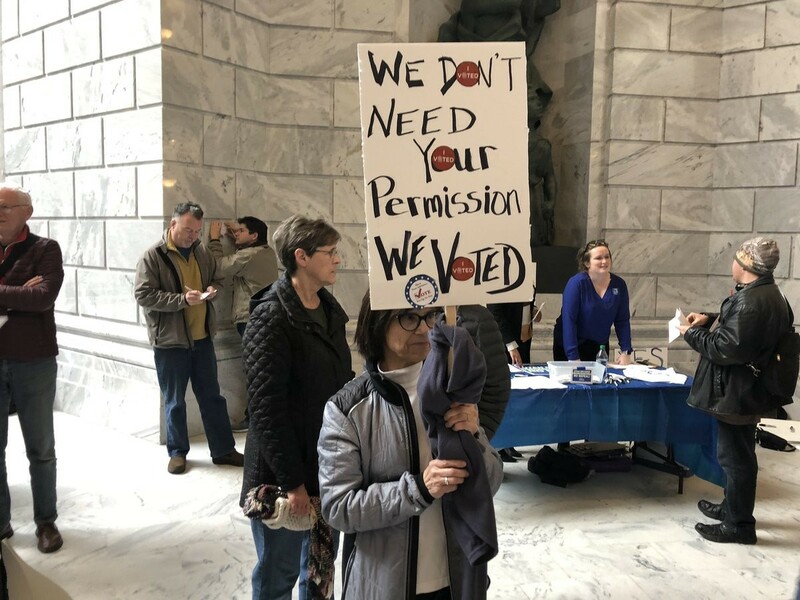 As the House and Senate met in their respective chambers Monday afternoon for the first day of Utah’s 63rd legislative session, demonstrators gathered in the Capitol’s rotunda and chanted, “Yes on 3!” Their shouts bled through the walls two floors above, delivering loud and clear an urgent lesson shortly before the elected officials headed home for the day. “That is exactly the message that the folks up there need to hear,” AARP Utah Director Alan Ormsby said to thunderous applause. 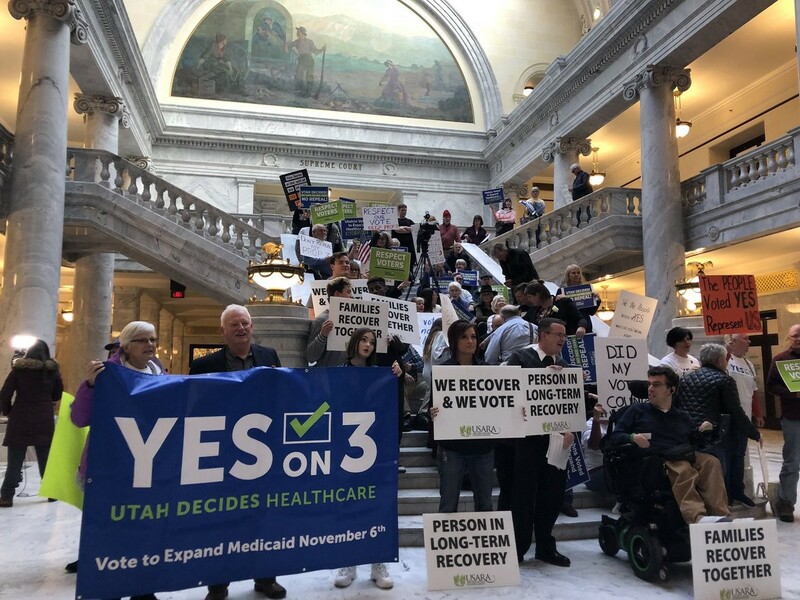 The protestors rallied for Proposition 3, the Medicaid expansion ballot initiative passed by 53 percent of voters last November, hoping it won’t meet the same fate as Prop 2, the medical cannabis referendum that lawmakers amended in a special session last month. Prop 3 was approved in the majority of House and Senate districts in the 2018 midterms. But, in keeping with the Utah way, that didn’t stop Republican leadership from saying they’ll need to change parts of the expansion to ensure the state stays solvent. “As we’ve done the analysis now of the cost of Medicaid expansion in the initiative, we find that after about two years, we don’t have enough money to pay for the additional costs of the state,” Gov. Gary Herbert said last week at his monthly news conference. 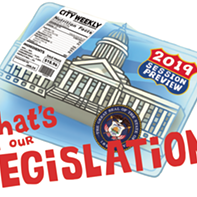 Related What's in Our Legislation? : Our annual look at the rip-roaring 45 session days ahead. Manager's specials like hidden language in bills and a very loose definition of "separation of church and state" will surely manifest and distract voters from real issues—the meat, if you will. Within legislators’ chambers, much of the session’s first day was ceremonial. Farmington and Davis High School students performed the National Anthem in the House and Senate. Lawmakers took their oaths of office and introduced this year’s legislative interns and staff. And former House Speaker Greg Hughes and former Senate President Wayne Niederhauser passed their torches to Rep. Brad Wilson, R-Kaysville, and Sen. Stuart Adams, R-Layton, respectively. In the House, Wilson issued words of warning to his fellow state representatives about Utah’s continued growth. "Despite our high quality of life and recent success, there are threats to our prosperity that we must be prepared for,” he said, emphasizing issues like air quality, education and affordable housing. “The obstacles we face today are different than those faced by the pioneers of the past, though no less difficult in their own right." The new House Speaker also called for a record-breaking $225-million tax cut, a deeper slash than what Herbert proposed. That’s a curious cause to champion, considering the governor and lawmakers are arguing the state does not have the money to fully extend Medicaid once the feds’ share of the funding decreases in future years.